If you are planning to head out this Easter weekend, here is the latest travel information. There are reports of slow traffic on London Road just before the A27. In Bolney, there is building traffic on Cowfold Road westbound just after the roundabout with Bolney Road and the A23. Due to planned engineering work, Southern will be running a reduced service on Sunday, April 1. Southern services between London Victoria and Brighton and between Brighton and Ashford International will be affected due to engineering work taking place between Preston Park/Lewes and Brighton closing the line. Southern trains between London Victoria and Brighton are diverted between Preston Park and Brighton via Hove. Journey times will be extended by a few minutes, according to Southern. 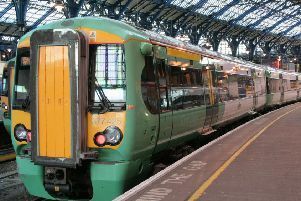 Trains are also replaced by buses between Brighton and Lewes, Southern said. Thameslink trains will run between Bedford and Haywards Heath. Customers have been advised to use Southern trains between Haywards Heath and Brighton. Southern have advised passengers to check their journey before they travel here.